Born in 2005 under the prism of the Comes brothers, Fambuena creates, manufactures and distributes its youthful designs worldwide under the artistic direction of Vicente Garcia Jiménez. 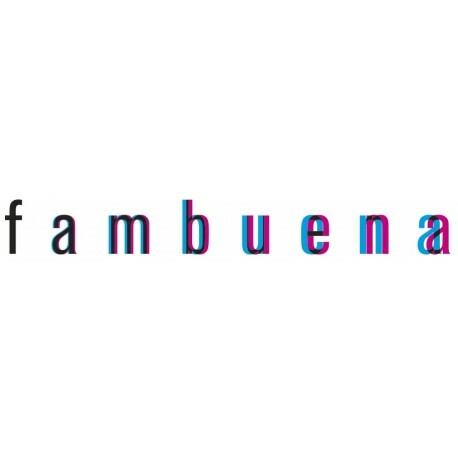 During 2006, the Fambuena brand, a universe of light expressed through beauty, sensuality and romanticism, has made its mark. Each one of the collections creates a unique atmosphere, transforming the designs into objects with a specific emotional language. This young and dynamic company brings together internationally-renowned designers: Cristian Malisan, Nicola Nerboni, Antonio Minervini, Vicente García Jiménez, Sabine Leuthold, Jehs & Laub, Yonoh, Alex Fernandez Camps, Katharina Maria Bruckner, Hans Stefan Moritsch and Verena Litzka,Carlo Contin, Ricardo Armiñana & Hugo Tejada. The result of this mutual collaboration is the new collection 2010 , lámparas “One” by Fambuena Lab, “Rafia” by Fambuena lab, “Lily” by Yonoh as well as the developing of its designs “Tali” by Yonoh and “Excéntrica” dby Alex Fernandez . This year 2010, we also have a pleasure to launch our very new collection “Fambuena Architectural” composed by five series “UpDown” of Vicente García Jimenez, “Versatile” of Ricardo Armiñana, “Plume” of Yonoh, “Porcelain” of Hugo Tejada and “Spider” of Carlo Contin. Fambuena´s presence has been established in Europe, Middle East, South America and United States of America. Committed to experience each one of the important lighting-industry showcases since its international debut at the Frankfurt Lighting Fair, Fambuena will be exhibiting in 2010 at ICFF, International Contemporary Furniture Fair in New York and Feria Hábita Valencia. Fambuena is a filter of light and ideas in pursuit of young minds all over the world. It interprets and manifests its vision and understanding of light and space, focusing on the environments and emotions created through the language of objects. It makes the world glow. The soul of light rays. Their intangible beauty in the air that pervades people and places, creating a synergy of emotions, joining spaces and minds in a moment, in a glance. A romance of shape, space and light.